Are you interested in social justice? Do you believe that all people have the right to safe, healthy, nonviolent intimate relationships? Do you believe that domestic violence and the stigma surrounding it need to end? 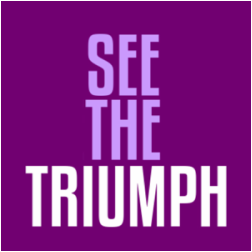 If so, we invite you to consider a volunteer position with the See the Triumph Campaign. All of these positions would primarily involve working independently, with a flexible schedule, with mentoring and support provided by the See the Triumph co-founders, Drs. Christine Murray and Allison Crowe. If you are interested in learning more, please contact Christine Murray at cemurray@uncg.edu or Allison Crowe at crowea@ecu.edu.